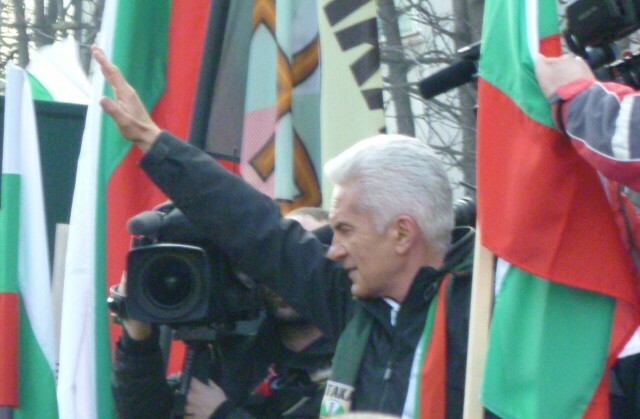 The process of Bulgaria’s Central Election Commission accepting applications by political parties to register to stand in the May 12 ahead-of-term parliamentary elections continued on March 25, with those filing documents including the Bulgarian Socialist Party (BSP) and Volen Siderov’s ultra-nationalists Ataka. “Today is the Annunciation, a nice and bright Christian holiday that always brings hope, so I express hope for our society in the upcoming election,” BSP leader Sergei Stanishev said. He said that the BSP had submitted more than 21 000 signatures in support of its registration, more than three times the number required by statute. The submission by the BSP of an excess number of signatures is similar to the move at the start of the registration by Boiko Borissov’s party GERB. Stanishev said that the most important about the May 12 elections was the removal of a government that had been harmful and that continued in power today through the caretaker government. It was important for people to turn out to vote for change, on the social, economic and political fronts. He said that at a meeting on March 26 of the BSP national council, proposals would be discussed for ticket leaders and places for coalition partners and a civil quota. The national council would make final arrangements of the lists next week, Stanishev said. Bulgarian-language media reports this past weekend said that the names of some former cabinet ministers from the 2005-2009 tripartite coalition government would be omitted from the BSP lists, including former economy and energy minister Roumen Ovcharov, former interior minister Roumen Petkov and former labour and social affairs miniser Emiliya Maslarova. Siderov told journalists that he expected Ataka to have a larger share of seats in the next parliament than it won in 2009. He hoped that this time Ataka would have a “united team”. As happened during its first term in parliament, from 2005, the Ataka caucus was torn by internal divisions in the 2009 to 2013 National Assembly. Siderov said that there could be a civil quota but “people need to believe in our programme and ideas”. He said that Ataka’s attitude to GERB in the next parliament would depend on whether GERB had learnt its lessons and grown up. Ataka was in effect in alliance with GERB in the first months and years after 2009 but the two parties and their leaders fell out in 2011. Meanwhile, among parties seen as having scant chance of election, it emerged that the Supreme Administrative Court had overturned a decision by the Central Election Commission refusing to grant Union of Democratic Forces leader Emil Kabaivanov permission to represent the Blue Coalition in the elections. The move by Kabaivanov had been ironic on the face of it, because his election as successor to Martin Dimitrov – the latter who partnered with Ivan Kostov and Kostov’s Democrats for a Strong Bulgaria to form the Blue Coalition – effectively spelt the Blue Coalition’s end. But Kabaivanov was seen as having made the move to register the Blue Coalition to prevent anyone else, especially Dimitrov, doing so. Bulgaria goes to the polls on May 12 for the parliamentary elections, with arrangements also being made for Bulgarians abroad to vote. May 11 will be a “day of contemplation” which has prompted the caretaker cabinet to declare May 18 a working day in return. The official campaign period will begin on April 12 and end at midnight on May 10, the Central Election Commission said.